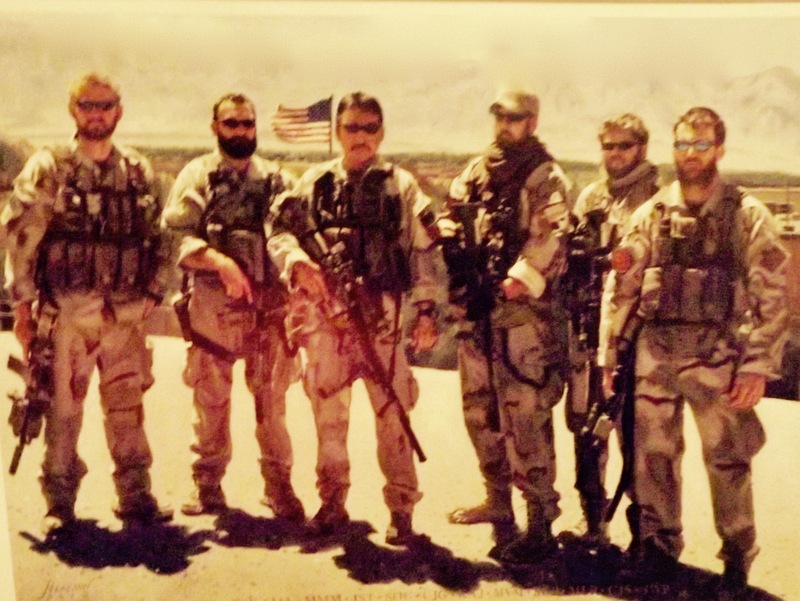 On June 28, 2005 a team of four SEALs on a reconnaissance mission in the Hindu Kush mountains of Afghanistan became embroiled in a battle with a larger force of Taliban. When word got back to base about the teams plight their fellow SEALs went into action, filling two helicopters with team members to go to their aid. For heroic achievement in connection with combat operations against the enemy while serving as Platoon Leading Chief Petty Officer, SEAL Delivery Vehicle Team ONE, while deployed to Afghanistan in support of Operation ENDURING FREEDOM on 28 June 2005. As part of a Quick Reaction Force, Senior Chief Healy was sent to reinforce a Navy SEAL Special Reconnaissance element engaged in a fierce firefight against numerically superior Anti-Coalition Militia near Asadabad, Kunar Province, Afghanistan. The Special Reconnaissance element was under siege from enemy fire in extremely rugged and unforgiving terrain. Demonstrating exceptional resolve and fully comprehending the ramifications of the mission, Senior Chief Healy’s element launched aboard a helicopter for direct insertion onto an active battlefield, ready to engage and destroy the enemy in order to protect the lives of their fellow SEALs. While airborne Senior Chief Healy continued working with members of his team to develop the plan of attack to support both a Quick Reaction Force and an urgent execution of the intended deliberate assault. As the helicopter hovered in preparation for a daring fast-rope insertion of the SEALs, the aircraft was struck by an enemy rocket-propelled grenade fired by Anti-Coalition Militia. The resulting explosion and impact caused the tragic and untimely loss of life of all on board. Senior Chief Healy’s bravery and heroism in the face of severe danger while fighting the Global War on Terrorism was extraordinary. By his courageous actions, zealous initiative, and loyal dedication to duty, Senior Chief Healy reflected great credit upon himself and upheld the highest traditions of the United States Naval Service. Thought this was how to register? I apologize for taking so long but these did not show up traditionally i my email. Hope to see you the 6th. Hope to see you on the 6th and thank you. Thank you so much for contacting us. I tried to call you but the listont your company phone oly had one Mike and it wasn’t you. So please give me a call at 603-793-2620. How can I get a survival bracelet for Dan? Hi I need your email to send you an invite for our Boston Irish Comedy Tour press party.